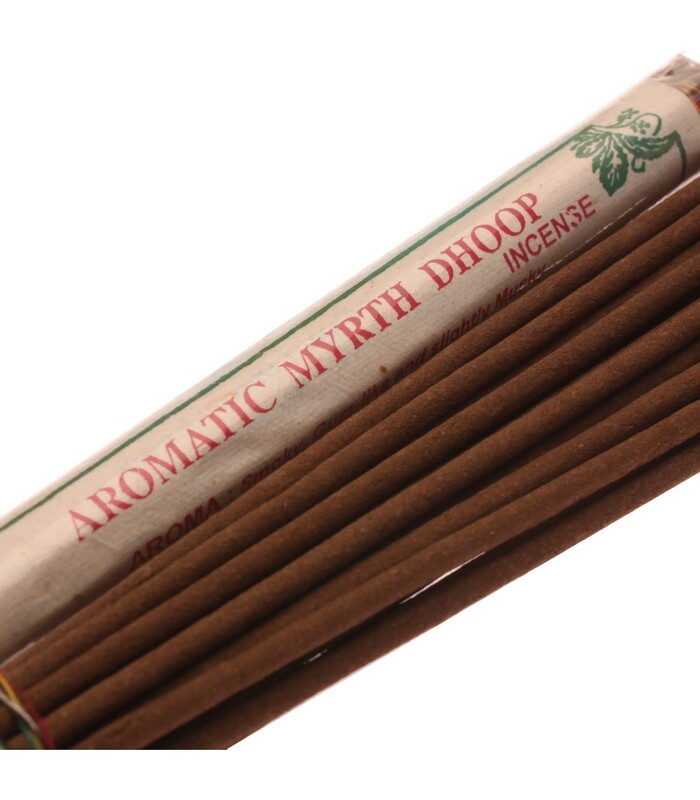 Myrth incense sticks were used by the ancient world in Egypt for worship. They used in the purification of women as well as men. It is antiseptic, antimicrobial, antifungal, astringent, balsamic, deodorant, disinfecting, diuretic, and expectorant. It is also used for stomach ache and as a tonic for female discomfort. Perfectly safe for the inhalation and the environment as well. 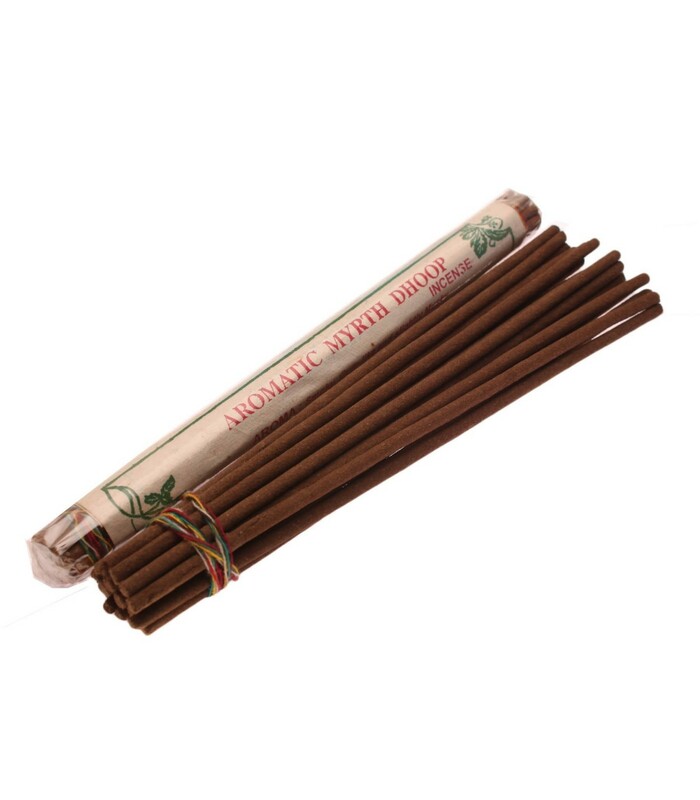 Aroma: Smoky, Gum-like and slightly Musky.